The Philippines is set to deploy hundreds of riot police to top holiday island Boracay to keep travellers out and head off potential protests ahead of its six-month closure to tourists, the government said Tuesday. President Rodrigo Duterte has branded the tiny central island and its world-famous white-sand beach a "cesspool". He has ordered visitors be kept away from April 26 so facilities to treat raw sewage can be set up and illegal structures torn down. On Tuesday, authorities laid out a lockdown plan to keep out all foreign and Filipino tourists using more than 600 police, including a 138-member "crowd dispersal unit". "In any transition, especially for a drastic action such as this, there is always confusion, uncertainties, and low morale," the regional police director, Chief Superintendent Cesar Binag said at a public forum on the island, aired on national television. "What we did was to identify the sources of confusion, sources of uncertainty and sources of low morale that might result to agitation and eventually into a security issue," he added. 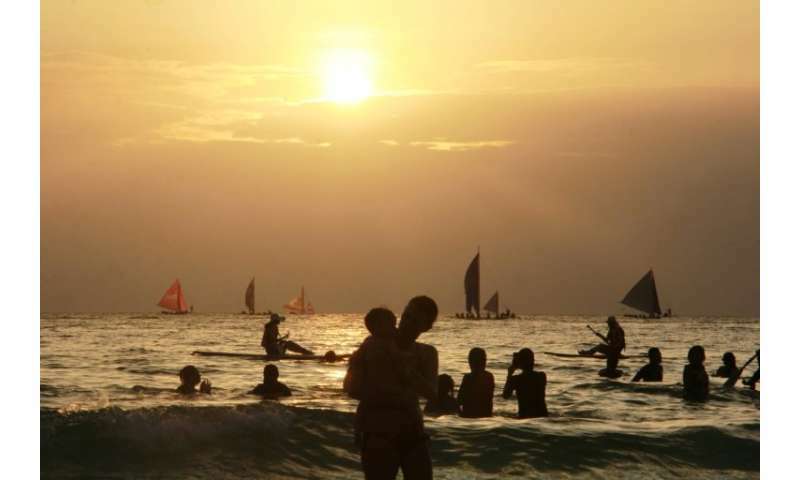 Boracay residents will be obliged to carry new identification cards and will be banned from boating and night swimming, he said. Entry to the 1,000-hectare (2,470-acre) island, located 300 kilometres (186 miles) south of Manila, will be limited to a single small sea port. Island residents' new identity cards are expected to be distributed three days before the shutdown, and security forces will conduct a "capability demonstration" next week, Binag said. Businesses in the area, which previously lobbied for a phased rehabilitation, have warned that an abrupt shutdown could lead to bankruptcies and job losses for many of the island's 17,000 hotel, restaurant and other tourism workers, plus some 11,000 construction workers. The island drew two million visitors last year, earning the country more than a billion dollars in tourism revenue, according to official data. The abrupt decision to close Boracay has forced hundreds of hotels, restaurants, tour operators and other businesses to cancel bookings, leaving clients fuming. The threat of closure first emerged in February when Duterte accused Boracay's businesses of dumping sewage directly into the island's turquoise waters. "I will close Boracay. 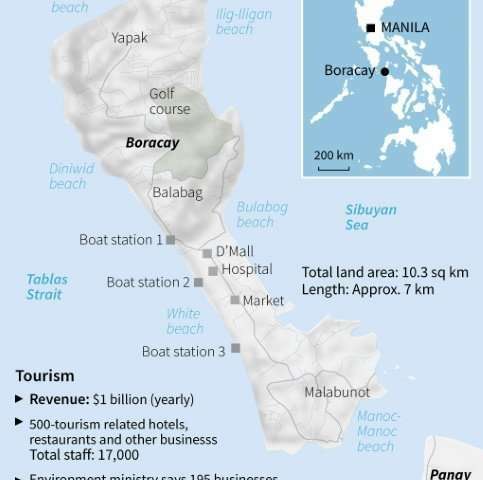 Boracay is a cesspool," Duterte said in a speech in his southern home city of Davao. The Duterte government maintains it is legal for it to deploy police and bar tourists from the island.